We are incredibly excited to be re-opening our OPEN SUBMISSIONS process from JANUARY 5th 2018!! For the last 2 years due to standstill funding we have been at our full quota of musicals that we are able to develop and work on within our small company. However, we have worked incredibly hard in this time to take nearly all our shows through to full development and create space for more new work to come aboard our portfolio. April 2018 – March 2019 is the first year of our next round of ACE funding and our focus will very much be on discovering new writers and new work to be able to develop for the subsequent three years of funding. Details on criteria and how to submit your work will be posted here JANUARY 5th 2018. We plan to accept submissions for a minimum of 18 months. We will also have scheduled visits all around the UK where we can meet and chat to writers and composers about their ideas for new musicals. To be able to offer feedback to all writers with new musicals in any stage of development / completion we offer a paid consultation service where Andy Barnes (Producer) will meet with you personally to discuss your show. For more information on the script consulatations please click on the tab above. Whilst we are not currently looking to take on new musicals we are regularly approached by venues and/or producers asking for recommendations of book writers / composers for new projects. In some cases these requests have led to commissions for the writers we put forward. We do not have the administrative or financial support required to accept unsolicited scripts and scores in an open submission process but we are still keen to discover new talent and see and hear your work whenever we can. Therefore, if you have a workshop production or reading of your show that you would like us to see please do send us an invitation (via email to andy@perfectpitchmusicals.com) and although as a small organisation we are unable to attend everything we are invited to we endeavour to support as much as we can and attend whenever possible. Still looking for someone to consider your musical for production or development? Check out these companies below and what they say about themselves. Aria Entertainment has a major interest in new musical theatre and in addition to producing new work they also run a new musical theatre festival “From Page To Stage”. Mercury Musical Developments (MMD) is the UK’s only membership organisation dedicated to developing new musical theatre writing. Musical Theatre Network (MTN) is a membership organisation with a mission to create the environment that allows new musical theatre to flourish. 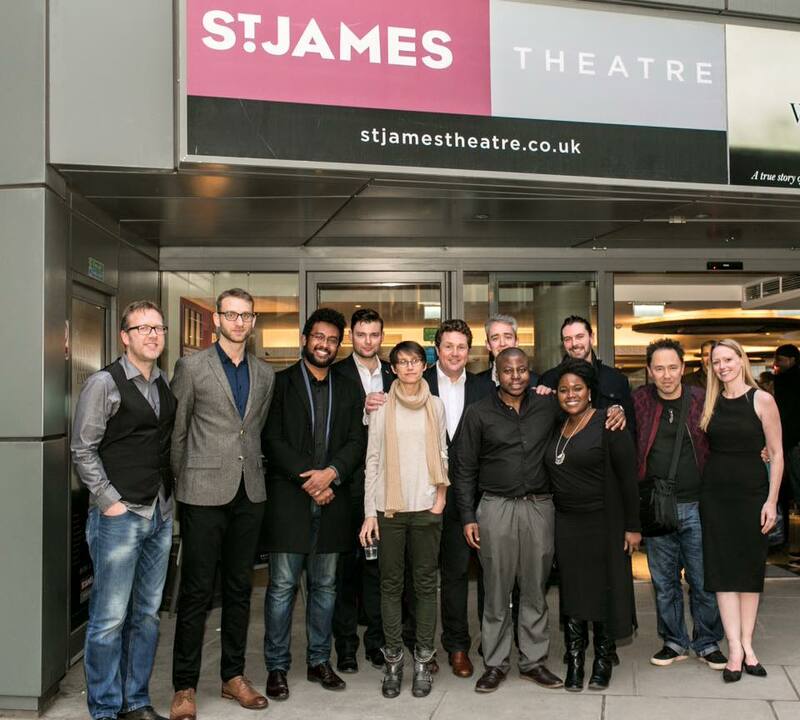 MMD and MTN present a festival of new British musicals (BEAM). Visit their websites for more information. Iris Theatre was created in 2007 to produce work at the world-famous St. Paul’s Church in Covent Garden. Growing year on year, Iris gained full charity status in Oct 2009 with a mission to support the development of the next generation of professional theatre practitioners and to produce a fresh and vibrant repertoire of varied work resulting in affordable and accessible theatre. The UK’s foremost champion of new theatre writing. SimG endeavours to produce exciting theatre; to support, nurture and showcase new writers using talent from the West End and Broadway; to produce exciting musical theatre albums; to help West End artists release solo albums and in turn showcase new writing – and to release Original Cast and Studio Cast recordings of British musicals. NAMT runs a festival and showcase in New York City every fall, the Festival produces 45-minute presentations of eight new musicals before an industry-only audience with the experience and resources to move the work forward. YMT receive support from Arts Council England as a strategic arts organisation developing new music theatre. In this role, they commission or devise at least eight productions every year. NYMT produce a number of musicals each year and one of those productions is often a commission for a new musical by lesser known writers. FTG Productions is a new production company aiming to find, develop and produce new and innovative British musical theatre. FTG wishes to foster and develop the collaborative relationships between emerging writers, creatives and performers and to create a culture of artistic excellence whilst maintaining a strong audience engagement. 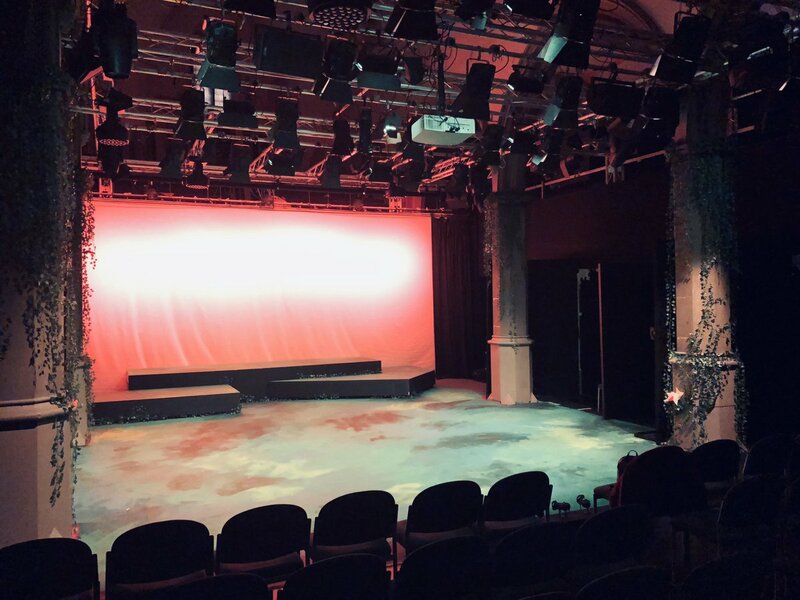 Bristol Old Vic’s Literary Department opens its doors once a year to new and previously unproduced musicals and plays from writers living and working in the South West. If you send in your material for the Script Consultation it will be read and assessed by Andy Barnes our Executive Producer. You will be invited to a 1 hour meeting at our central london office for face-to-face feedback. We aim to be in touch within 3-4 weeks from the date we receive the material to schedule the consultation. You can send us as much or as little material as you wish. It is preferable to send a CD or download link for the music but if you do not have any demos recorded it is acceptable to send us the written score. It is also helpful for us to receive a synopsis of the show but this is not a requirement. Please don’t forget to include your own contact details including an email address. The fee for the service is £150 (plus VAT). (If you require an invoice before making payment please email andy@perfectpitchmusicals.com to request one. We have held two Perfect Pitch awards – 2013/14 and 2015/16 and aim to hold another award 2018/19. Firstly partnering with The Royal and Derngate and more recently with The Theatre Royal Stratford East. Scroll down for video footage from the event. You can follow the progress of the shows on our “Works in Progress” pages. The purpose of the Perfect Pitch award is to find writers who may otherwise be unknown to us from all over the UK and offer them the opportunity to be commissioned to write a brand new musical regardless of their previous musical theatre experience. The last two awards have presented the writing teams with £12,000 (raised from Philanthropic donations) to write the first draft of their show in 12 months with mentorship from us and the award partners. The award is open to anyone over the age of 16 who is able to submit at least 3 demos of songs and / or 3 extracts of script. The material does not have to be from musicals. We were keen to find song writers and play writes with an interest in writing for musicals but who haven’t felt it was an art form accessible to them. We invite around 25-25 shortlisted composers and writers to an event where we can meet them all individually and find out a little more about them. After this we put the finalist teams together – usually pairing up composers and writers with people they have not met or worked with before. There have been either 4 or 5 teams in the finals and each team is tasked with writing just 10 minutes of brand new material and a very rough outline / synopsis for their idea for a musical. We will then give them a professional cast to perform their 10 minute ‘pitch’ to a panel of industry judges. The judging panel is led by our patron Michael Ball and he has been joined on the panel in the last two awards by Comedian and writer of The Infidel the Musical (Theatre Royal Stratford East, 2014), David Baddiel, double Olivier Award nominee, Kate Prince, multi-award winning playwright Roy Williams, playwright Samuel Adamson (“The Light Princess”, “Gabriel”, “All About My Mother”), director Rachel Kavanaugh (“Love Story”, “The Sound of Music”), choreographer Stephen Mear (“Kiss Me Kate”, “The Pajama Game”) and Olivier Award winning actress Rosemary Ashe. Including footage from the 2013/14 award filmed by Ben Duff. Edited by Ben Duff and Josh Bird. BACK STAGE AT THE 2013/14 AWARD. Filmed and Edited by Ben Duff.